The Enlightenment Transmission quietly slips into the tapestry of our busy lives, patiently waiting for the right moment to deliver deeper insights about the fabric of reality. Time and space dramatically warp as layers of existence open up, sharing their essence like twinkling stars in the night sky. 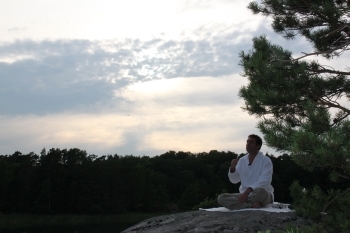 The biggest, most intense and sustained opening to Enlightenment Transmission is the Island Retreat – a moment that lasts for 7 continuous days and nights. A moment that is felt well before and long after the actual Retreat event as the Enlightenment Transmission prepares participants and integrates the changes to their psyches. After a Retreat, participant lives will be changed for ever, and so too will the Dave Oshana Enlightenment Transmission Teaching. Even Dave Oshana himself does not know what that will be like. Normally, only Retreat participants can attend the live online Teacher Calls that follow immediately after a Retreat. But now, if possible, for the sake of the wider Enlightenment Transmission Teaching Community, the Retreat Teaching will be shared earlier although, as ever, slowly and carefully. Newcomers desiring to attend any Live Call should email immediately to receive essential preparation guidance.